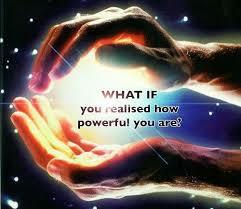 We all have a power within us when realized and activated can alter your reality. Your dreams and desires have been given to you to make manifest. A quote from Genevieve Behrend in her book, Your Invisible Power that was written in 1912 says; ” When your understanding grasps the power to visualize your heart’s desire and hold it with your will, it attracts to you all things requisite to the fulfillment of that picture by the harmonious vibrations of the law of attraction.” Let’s break this down so that you can understand it better. First, understanding comes from study. You must amerce yourself in studying the natural laws of the universe to become aware of the infinite potential in the quantum field. Then you imagine and visualize what it is that you would like to make real. Remember, every thing is created twice, once is your mind and then that energy transmutes into the physical. Your heart’s desire has to be felt through out your body in intense emotion ( energy in motion). In other words, your mind and body must become one and the image is so real in your mind’s eye that you are experiencing the image as already manifest. Keep your attention on that image and be thankful that it has already been created in one form. Now all you have to do is believe, take action toward your desire and it must come to you because you are radiating the frequency out, like a radio wave into the universe. Practice, and study. The power is within you. This entry was posted on Tuesday, October 6th, 2015 at 1:07 pm and is filed under Science of Getting Rich. You can follow any responses to this entry through the RSS 2.0 feed. You can leave a response, or trackback from your own site.